African Americans need to look beyond the makeup counter and drug store facial aisle when looking for skin care remedies. The reason is that while many of the products may be adequate, many are not designed for use with African American skin. African American skin not only contains more melanin that Caucasian and other skin types, but it is also more oily, and quicker to reveal sensitivity to certain products. The best way to treat African American skin is to keep it very clean. African American skin responds well to natural, organic products. Many store-bought soaps contain artificial ingredients that can aggravate the skin. Dark skin will reveal reactions to artificial products through discoloration, which isn't always apparent with lighter skin. Some of the best organic cleansers for African American skin are shea butter soap, olive oil soap and African black soap. (Black soap can stain your shower though). If you prefer store-bought products, look for a hypo allergic, non-concomedegenic cleaners such as face Aveeno clear complexion cleansing bar. For astringent, use straight all natural witch-hazel (found near the alcohol and peroxide) in the grocery aisle. African American's of all ages get acne. To make matters worse, on African Americans, dark scarring can last long after the outbreak. To treat acne on African American skin, you should first avoid using hair oils that run onto the skin, or be very diligent about keeping them away from the face as this is a major reason for acne on African Americans. Regular cleansing as mentioned does wonders for stopping acne. For stubborn outbreaks, dab a bit of tea tree oil of the blemish before going to bed. Razor bumps are a difficult and painful problem for African Americans. They occur when freshly cut hairs curl back and pierce the skin resulting in painful and unsightly bumps. The best natural remedy for razor bumps is to stop shaving. 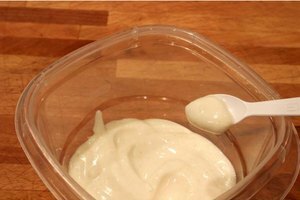 When this is not possible, you can make a paste strawberries and sour cream or mix honey, aloe vera, water and crushed aspirin and apply it to the affected areas. Many African Americans suffer from discolored and uneven skin tone. Even the smallest trauma or allergic reaction can cause light or dark splotches on the skin. You can treat hyper-pigmentation through gentle exfoliation. Use an oatmeal and honey facial scrub that you mix yourself with equal parts of each ingredient. 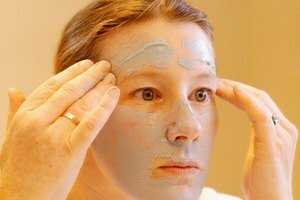 Other gentle exfoliation treatments are a mask made of almonds that you soak overnight and then grind into a fine paste.